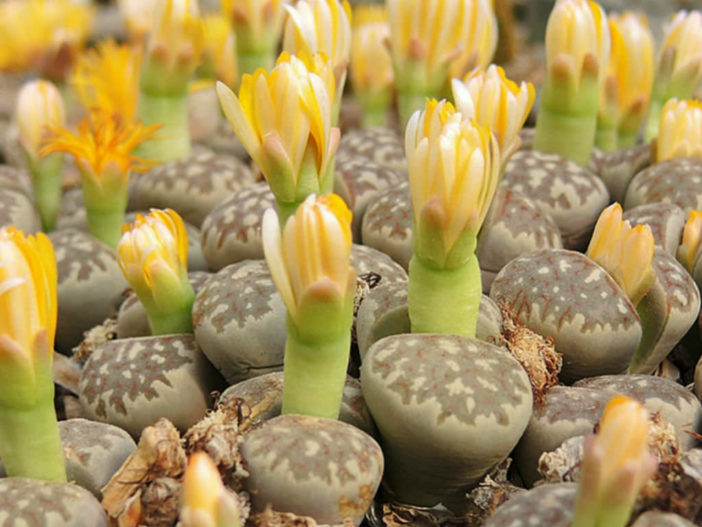 Lithops dorotheae is a stone shaped succulent with dark beige pair of leaves up to 1.2 inches (3 cm) in diameter and translucent, grey-green windows with red dots and lines. 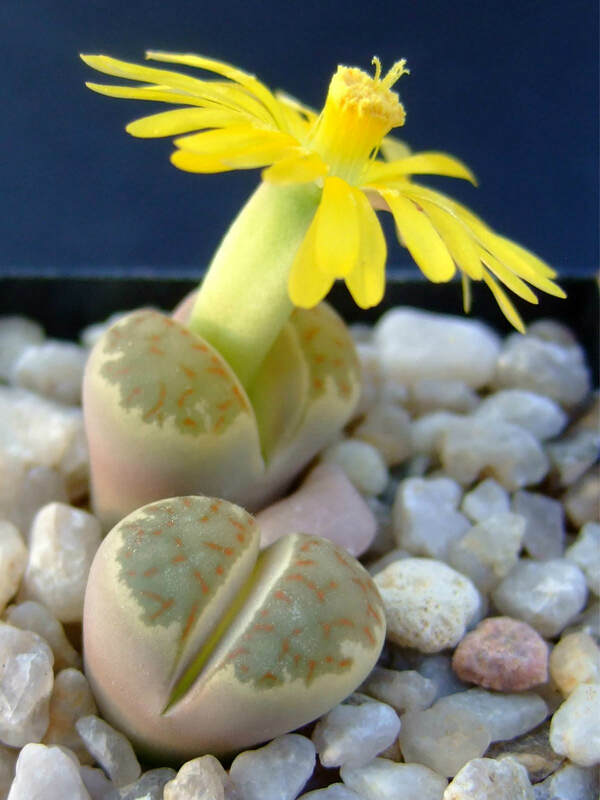 The flowers are yellow in color and up to 1.3 inches (3 cm) in diameter. 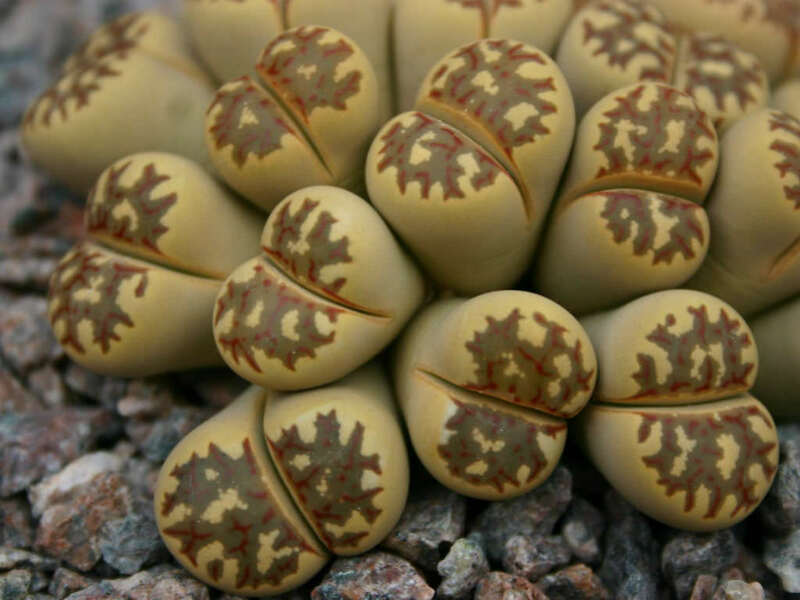 These plants develop a new set of leaves every year, with new leaves emerging in the fall and growing through the winter and into the summer. 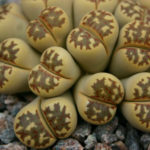 In late summer, Lithops will go dormant and water should be severely restricted to prevent bursting leaves. 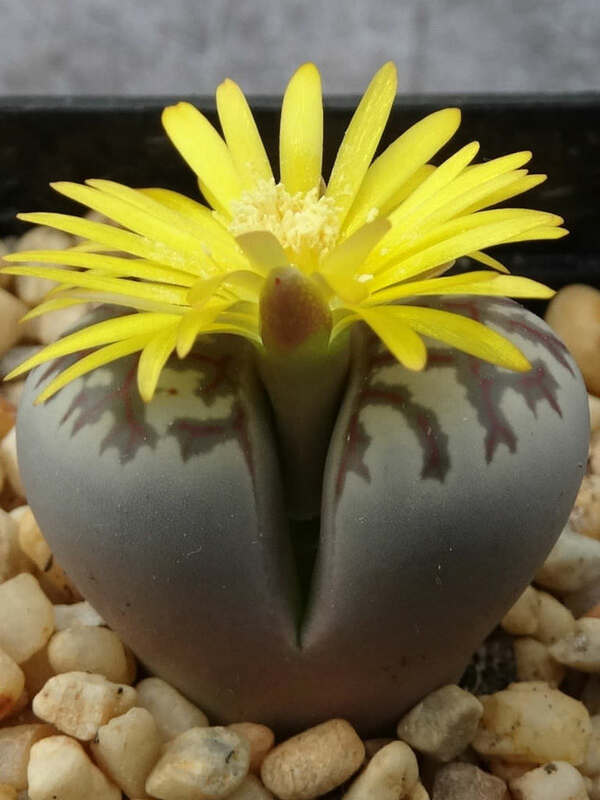 The flowers appear near the end of summer or fall, first showing up as a small bud forcing its way between the leaves and growth will begin again. It’s safe to water during this period. Heading into the winter, the leaves will still be growing, but you should stop watering, even as the older leaves shrivel up and encase the new growth. 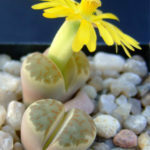 In the spring, it’s safe to begin lightly watering again as the plant begins to grow again, heading toward their summer dormancy period and the emergence of new leaves in the fall. 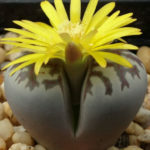 Lithops dorotheae is native to South Africa (Northern Cape).